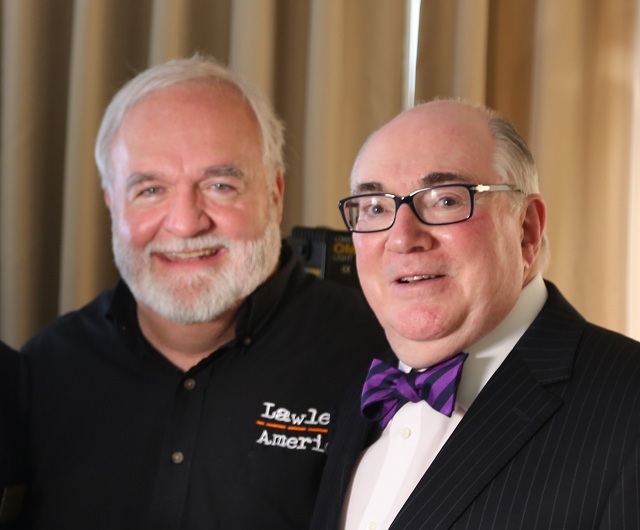 Dr. Richard Fine met with Bill Windsor and was interviewed for Lawless America...The Movie whehn the 50-state Lawless America Movie Road Trip visited Hollywood. Dr. Richard Fine presents perhaps the most significant case of judicial corruption at this time. A portion of the interview has been placed on YouTube, and you can vgiew it right here. Dr. Richard I. Fine's story is mind-boggling. It shows the extent to which corrupt judges will go to stop those who would expose them. Having never been charged or convicted of a crime, Dr. Richard I. Fine spent 18 months in solitary "coercive confinement" in the Los Angeles County Men's Central Jail following his attempt to disqualify a judge who had admitted taking hundreds of thousands of dollars in illegal payments from a party to the case before him. That party was the County of Los Angeles and the case was the Marina Strand Colony II Homeowners Association who hired Richard Fine, to represent them in their opposition to a massive development on county-owned property in Marina del Rey. Richard Fine is a former U.S. anti-trust attorney who served in the Department of Justice in Washington D.C. who holds a PhD in International Law and has practiced public interest law for over 40 years. He was very successful winning cases against the government on behalf of taxpayers and women and children whose child support money was being diverted from them to the County. In 1990's he discovered that no one could win a lawsuit against the County of Los Angeles, the reason, the State Superior Court Judges in Los Angeles were being paid off by the County with illegal double benefits that have now amounted to more than $350 million dollars. In 2008 the Judicial Watch public interest law firm won a case against L.A. County that held their double benefit payments to the judges, who were State employees, were illegal and unconstitutional. The Judges retaliated and got an emergency bill passed in the State Legislature, giving them retroactive immunity from criminal prosecution and attempted to legalize the payments. The mainstream media ignored the plight of this 70-year-old attorney, but the story was too big to be squelched. Public outrage was sparked by Internet video reports TV shows on public access channels and on Internet websites that were spreading the word while Richard Fine was waging an intense legal battle from his jail cell without an attorney. His health was deteriorating and he was without an upper dental plate. But he continued the fight from the Superior Court to the U.S. Supreme Court. The judge ultimately released Dr. Fine. Watch the video to see why….Dr. Richard Fine continues the battle to restore integrity to the Judicial system to this day.